Hedcut illustrator Ekaterina Shulzhenko. Woodcuts, stipple portraits and illustrations. 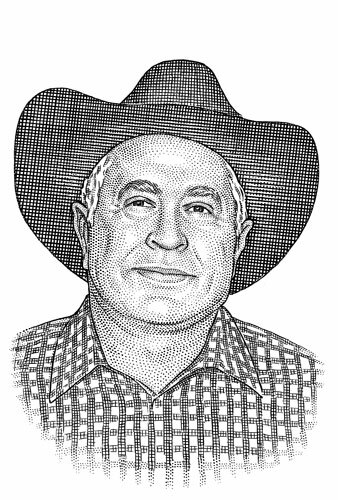 Here is one of my latest hedcut drawings, guy in a cowboy hat and a check shirt. My name is Katya Shulzhenko, I'm freelance illustrator based in Russia. In this blog I post my engravings, line art woodcut illustrations and stipple portraits aka 'hedcuts', done with special graphic method of creating portraits with stipples and lines developed by Kevin Sprouls for Wall Street Journal columns. I'm just in love with this style and I draw stipple portraits for about 7 years.